Arrive at Yangon International airport, meet the native English speaking guide. Transfer to check in hotel. Lunch break. Start sightseeing of Yangon city center, Sule Pagoda, City hall, High Court, Independence monument where you can see the bustling life of the city. 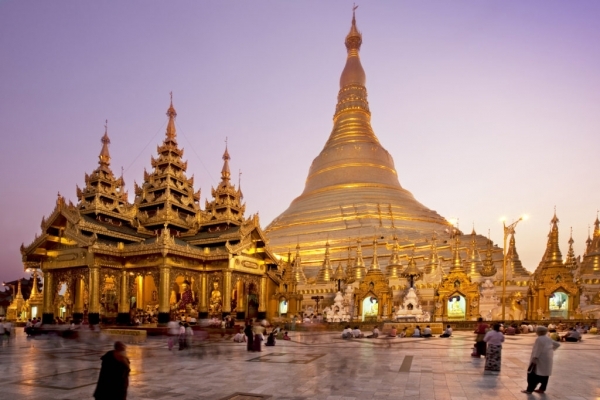 Visit the well-known Bogyoke(Scott) market- famous market of Yangon,visit the most spectacular religious edifice,Shwedagon Pagoda for daybreak sunset. Overnight in Yangon.Remarks: Bogyoke (Scott) market, National Museum are closed on every Monday and Government holidays. After morning breakfast,transfer to airport for Heho domestic flight. On arrival continue by coach to the Pindaya natural cave-where nearly 8,000 of Buddha images are stored and visit the Shan local Paper processing workshop, Bamboo Umbrella manufacturing processing. Overnight in Pindaya. 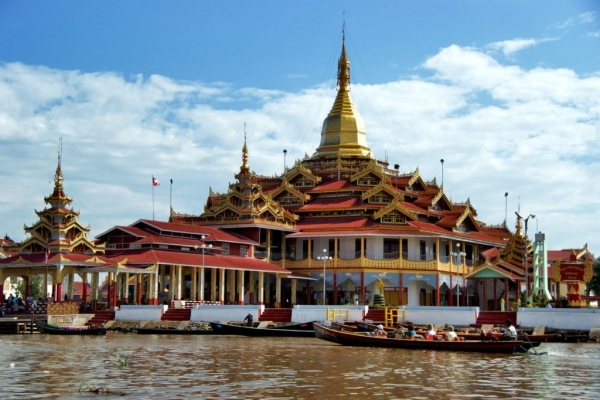 After morning breakfast,take an excursion by coach to the gateway for Inlay Lake boat ride and visit Phaung Daw Oo Buddha images procession ceremony. Each year the Buddha images leave the Pagoda Shrine to make a procession trip lasting for eighteen days. Images are carried on the floating (Karaweik Royal Barge) with an opening ceremony and stops at the villages on Inlay Lake for one or two days to be paid homage by the people. On each and every stop grand ceremony and boat races are participated. The traditional boat racing starts from 10:00 am to 11:00 am at the Inlay Lake. 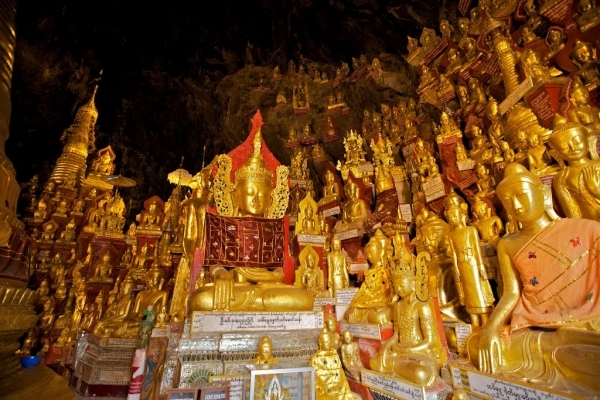 The four Buddha image would be in Nyaung Shwe for three nights. During that days, people from surrounding villages come to pay homage to Buddha images and watches the boat competition. Overnight in Inlay. After breakfast,drive to Taunggyi highlights: Shan Tribal Museum, local market, Yat Taw Mu Pagoda – which features a large standing Buddha image in the South-western direction. 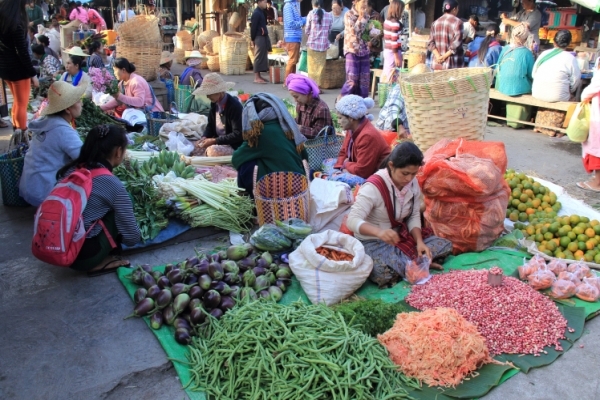 A market day in this region is been conducted every 5 days taking place at individual town. 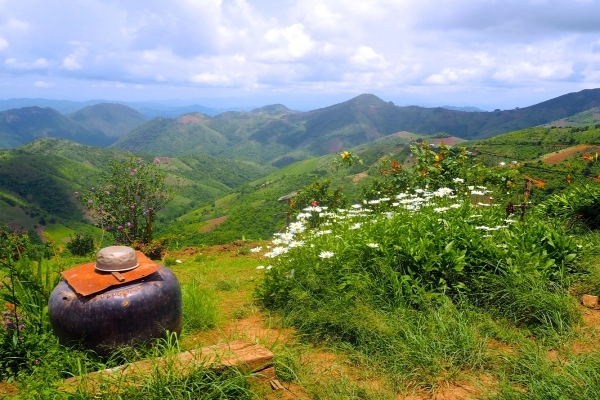 Drive the coach bypassing through the scenic road of Shan hilly ridge for daybreak.Overnight in Kalaw. Morning, walk around the beautiful environ to view the scenic and their native tribe’s ways of life. Transfer to Heho airport for Yangon flight. Check in hotel. Free and leisure time to overnigh tin Yangon. Morning, drive to the Tooth Relic Pagoda and Kalay Wa Taw Ya monastery- where you can see nearly more than 500 to 1000 young novices having their last meal of the day. Transfer to the airport for your next departure flight.